Venice. The city of canals, gondolas, romance and mystery. A unique and magical place that, if you know where to look, can be a treasure trove of beautiful bridges and winding alleys. 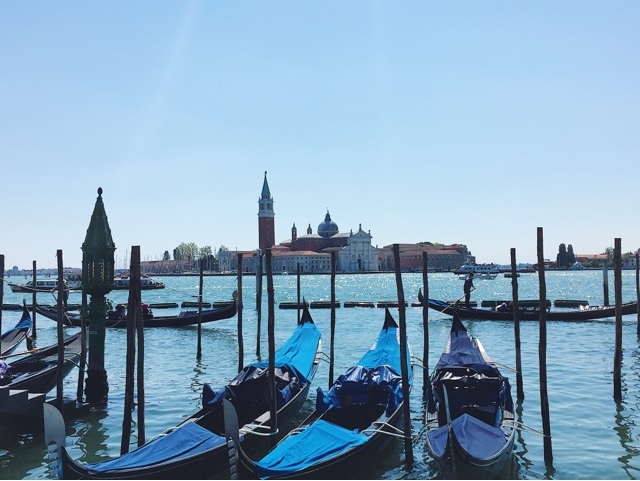 I was lucky enough to go to Venice for a few nights whilst I was in Italy for my 21st and instead of doing a blow by blow account of what we did there, I thought I would share some of the tips and points of interest that I picked up whilst I was there. As you would expect, Venice is a verrrry expensive city to stay in and to be honest, unless you are going on an all-out luxury trip, probably not the best place to stay. I stayed in Mira, a very small village about half an hour bus ride to the centre of Venice. Whilst I would perhaps recommend staying somewhere a little closer, Marghera or even Mestre, it suited us perfectly fine. After a long day exploring the city we almost needed a break and were glad when we could leave the bustle and craziness of the city and recharge away from it all. 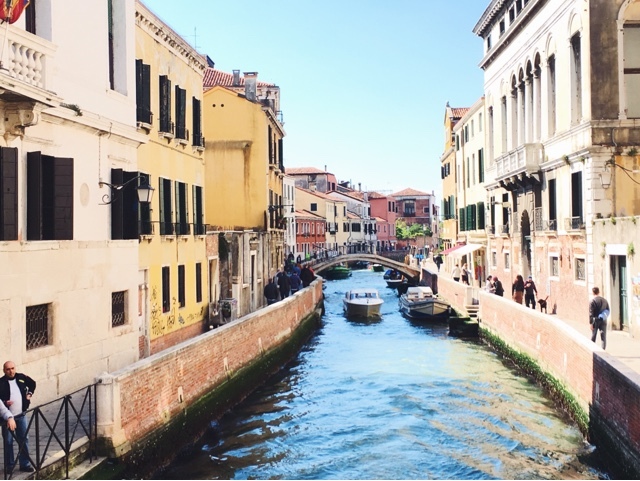 I would say check out Airbnb if you are wanting to visit Venice as it was how we found our beautiful house and had much more competitive prices than any of the hotel finding websites. 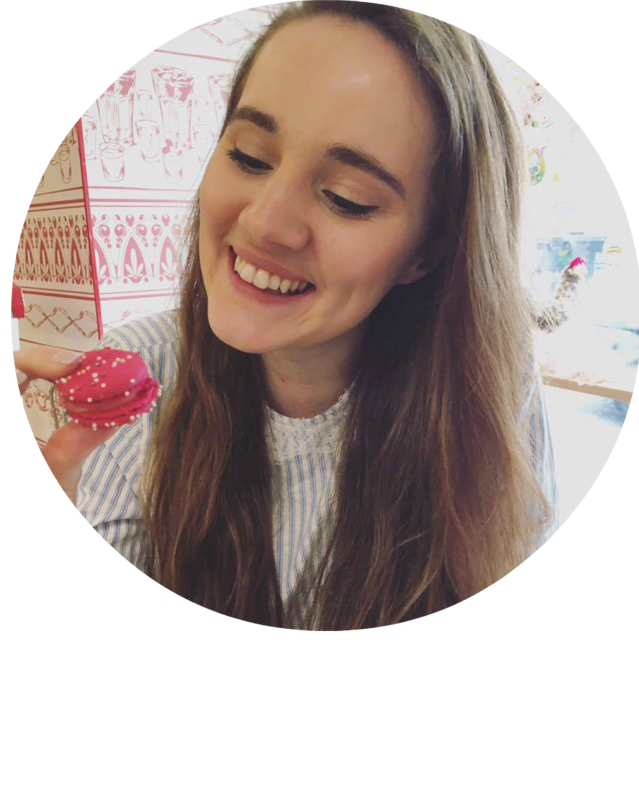 You can read all about my experience with Airbnb and why I would choose it over a hotel here. Venice itself does have an airport, Marco Polo, which is slightly just outside the centre and like most airports, the normally city bus ticket doesn’t cover your journey out there. We actually travelled to Venice from Verona where we spent the first four nights of our trip. 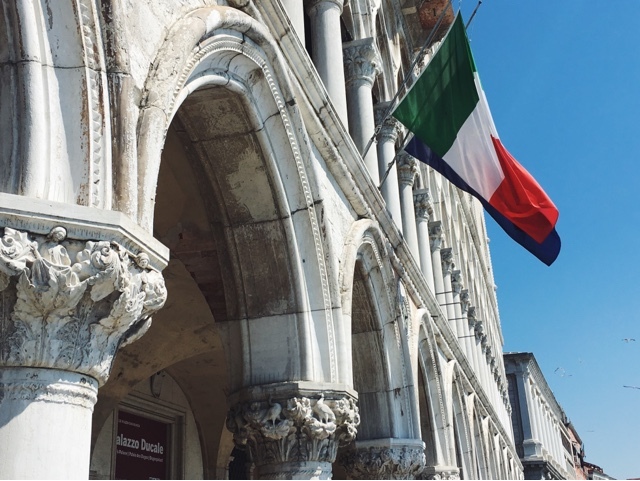 At just over an hour by train away it is definitely an option to consider if you want to see more than just Venice on your travels. Ryanair flies into both airports I think and we booked our flights in their sale, getting a return flight from Nuremberg for only 35 euros! As most of you will probably know there are no buses in Venice so all the travelling you will do when you are actually there will be done on foot. Or on the water. Water taxis are pretty common although can be quite expensive. It is possible to travel solely on foot unless you are wanting to go to visit the islands which I will talk about in a second. You can buy a day pass for all the water buses in Venice including the ones that will take you to the islands for around 20 euros per person, slightly cheaper if you buy a multiday ticket. This doesn’t include water taxis so be careful! We spent about one full day wandering around and after a full day of walking we had seen almost everything that you could see from the outside. We didn’t pay to go into any museum however still took in all the main sights. 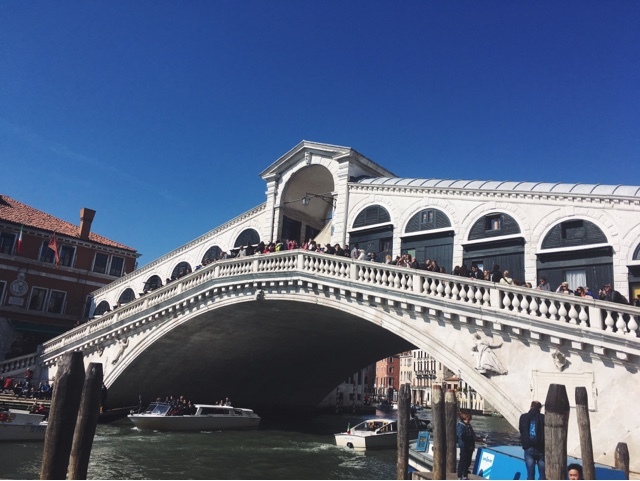 The Rialto Bridge is definitely impressive and if you are looking to pick up souvenirs the market at the side of the bridge was a pretty average indicator of general prices on the island. Aka, expensive. 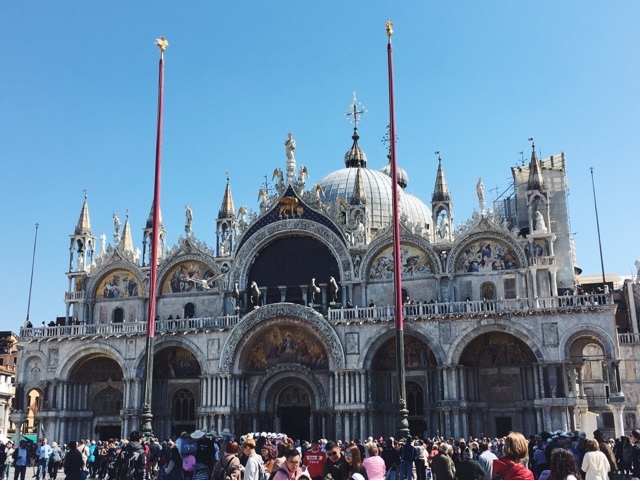 St. Marks Basilica is an absolute must see although expect to have to queue to get in, as is the outside of the Doges Palace and the Grand Canal. Entry to Doges cost 20 euros which as students we really couldn't justify, however is meant to be beautiful. Some of the most beautiful things to see can be found just exploring the streets and hidden canals. The iconic image of Venice. Everyone dreams of travelling to Venice and having a romantic gondola ride, however let’s be honest here, unless you are feeling exceptionally flashy it’s not going to happen. As my friend and I were both celebrating our 21st birthdays when we were away we were lucky enough to go on one as a birthday present from my friend’s mum. However. It costs 80 euros for a half hour ride and that is pretty much non-negotiable. I won't deny it, the whole experience was magical. We saw Venice from the canals, the most unique way to see the city. It was a once in a lifetime experience. However, it was not necessary. I am so grateful to my friend's mum for enabling us to have such an incredible time, but it's not a must see or must do. 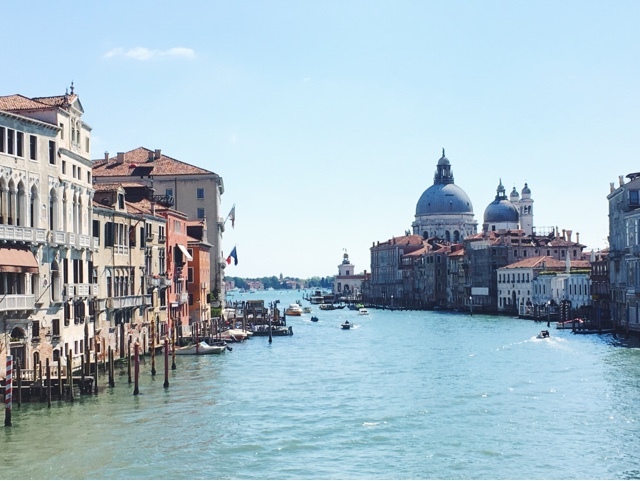 If you are travelling to Venice, visiting some of it's islands is an absolute must. 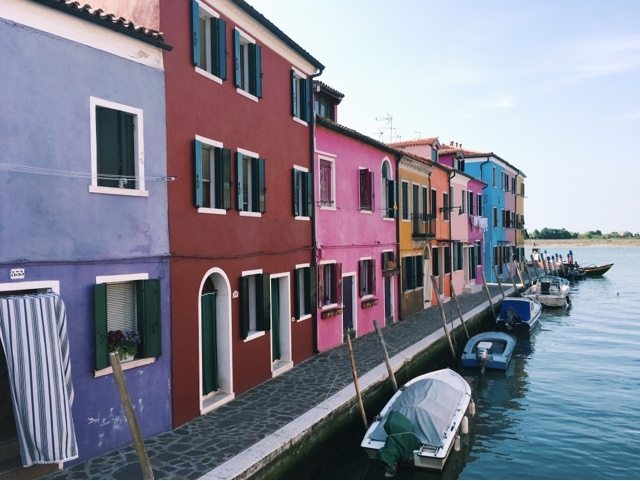 We chose Murano and Burano based on various blog posts and photographs I had seen. I wrote a full post on them and what to look out for which you can read here. Definitely plan a whole day to visit the islands though, we could have spent longer on each. As I've mentioned, walking around Venice is the only way to see the city so make sure you wear comfortable shoes and are prepared for a long day. Venice uses the Euro and while there are cash machines, we found it a little difficult to find them so make sure you draw out plenty before you go. Feeding the pigeons in St. Marks square is forbidden. Ignore the men trying to sell you seed. They will literally come and try and put seed in your pocket so be alert at all times. It is one of the busiest spots in Venice. Like the rest of Italy, the coffee culture is unique. There is a significant difference in price between buying a coffee "al banco" and sitting down to get your order taken. "Al banco" means at the bar, so while you save money you wont be able to sit down to enjoy your drink. This is the traditional way most people take their coffee so why not try it like the locals. Final coffee point, I never paid more than a euro fifty for a coffee al banco the whole trip. If you are wanting a coffee break walk five minutes away from where you are standing into the lanes and you will find a significant drop in price. If you have any other tips for visiting Venice please leave them in the comments to help fellow readers out! It is such a beautiful city and one that I think needs to be on everyone's bucket list. Hope you have found some helpful pointers if you are planning to visit or just enjoyed the photographs if you are not. It's been one of the longest and most detailed posts to write but I really hope that you find it helpful. Thanks for the tips, especially those that will try and put seed in your pocket! 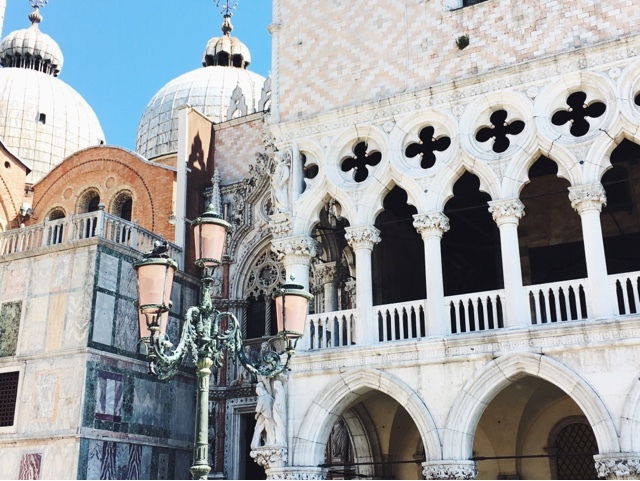 I haven't visited Venice in about a decade, and I definitely plan on going back sometime soon - this was such a beautiful travel post! Looks amazing - would love to go one day & can't wait until I do! I will go one day ! it;s on my list ! your pictures are beautiful by the way.